The first details about Fallout 76 were revealed during Microsoft's Xbox E3 2018 showcase. During the conference, Bethesda's Todd Howard revealed Fallout 76 is a prequel to all of the prior Fallout games and the studio's "biggest one yet." According to Howard, the game will be "four times the size of Fallout 4." Howard also confirmed the game will take place in "the hills of West Virginia," where the player is "one of the first to emerge in an untamed and very different wasteland." As narrated by the reveal trailer: "When the fighting has stopped and the fallout has settled, you must rebuild. Not just walls not just buildings, but hearts and minds, and ultimately, America itself. 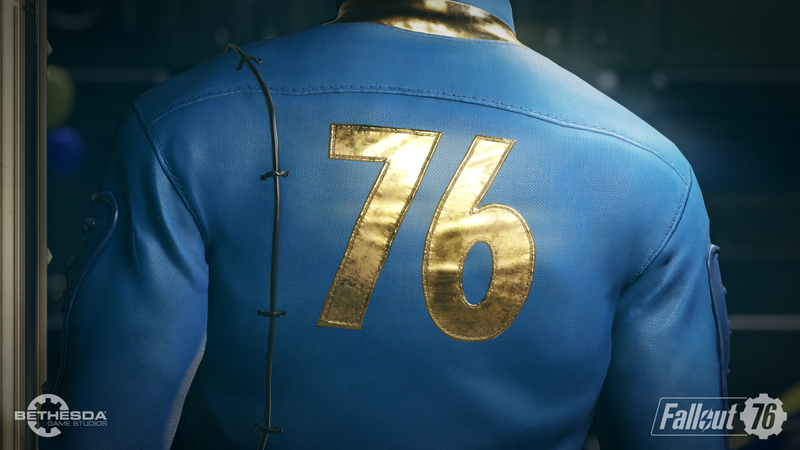 In Vault 76, our future begins." Fallout 76 was revealed on Wednesday, May 30 with a teaser trailer.